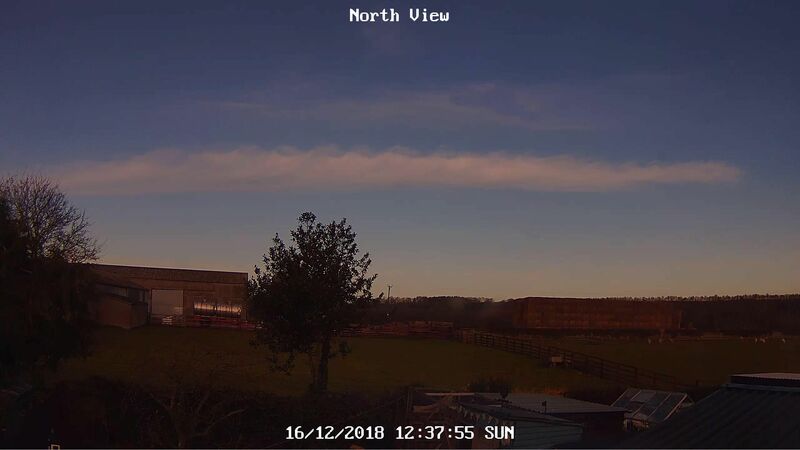 Dry and clear with a low of 2.6 C. 7.4 mm of rain yesterday and the temperature only reached 2.8 C by 2100 then up to 7.2 C by midnight. Rain cleared last evening followed by a brief rise in temperature. Clear spells later allowed the temperature to fall again allowing a touch of ground frost through the early hours. At observation, clear, ground frost. 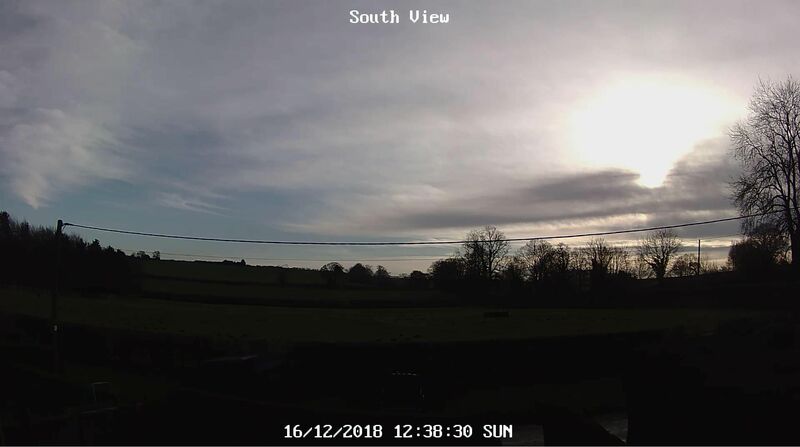 Maximum temperature to 18:00 GMT yesterday 1.5C. Minimum temperature on grass -0.2c. Frost overnight, cloud increased, turning breezy. This morning so far, overcast, feeling cold in the fresh SE wind, ground frost. Rain set in by late morning, this turning moderate through the afternoon, feeling cold and raw in the fresh to strong SE wind. Yesterday's freezing rain turned to non-freezing rain by 1820 and a rise in temperature during the evening thawed all the ice. The rain cleared by late evening and the second half of the night was dry with clearing cloud, allowing a ground frost before dawn. Clear and sunny so far this morning. Overcast, wet, periods of heavy rain, cool. Some high cloud now moving in after a mostly sunny cool morning with a touch of ground frost. A dry and mainly sunny morning ending with a period of fog from 1145 until around 1300. The afternoon was cool and cloudy with light-moderate rain arriving by 1720. Dry with sunny intervals this morning after a cold start with a slight ground frost, cloudier with a spell of rain from mid-afternoon until evening. Maximum 8.2, minimum 2.5. Wind moderate SW. Yesterday: some sleet reported early in the morning elsewhere in Reading (a bit higher up) but we didn't see any. A cold and breezy day with rain from around 9am until after dark. Maximum 6.7 (in the evening; daytime temperatures were around 4C), minimum -1.1. Wind moderate E.